Does farmed salmon live up to its clean green claims? The industry has been keen to promote the fish as a healthy, sustainable choice. But despite the rosy PR, salmon farming continues to face image problems. This is intensive farming that sits at odds with the “natural” claims made for products found in stores. Fish began mysteriously dying at King Salmon’s Waihinau Bay farm in Pelorus Sound in 2012. The Ministry for Primary Industries called it “a significant mortality event”. 18 months later, a cause had still eluded detection by either the ministry or the company. Tests of the salmon, which had skin lesions and signs of inflamed internal organs, proved negative for known pathogens. An investigation report released by the ministry in July 2013 acknowledges tests were carried out after mortality peaked, potentially limiting the ability to identify the culprit. Before reaching the dinner table, the fish spend most of their lives in sea cages being fattened up. King Salmon believes the event, which cost the company over $1 million, may have been a “curve-ball” thrown by nature. It says salmon are incredibly difficult to farm and thinks a combination of “stress factors” led to the fish going off their feed and dying. The episode has added fuel to the increasingly heated debate about salmon farming, a debate that’s been playing out across the globe as wild stocks have come under pressure and aquaculture has raced to fill the gap. Hype about salmon’s omega-3 content has provided an added incentive to invest (see 'Omega-3 test' below). Most salmon sold here starts life at a King Salmon hatchery. According to the company’s own figures, it produces around 55 percent of all farmed salmon and owns major brands Regal Salmon and Southern Ocean. Before reaching the dinner table, the fish spend most of their lives in sea cages (King Salmon prefers to call them pens) being fattened up. A major part of their diet comes from abattoir by-products – off-cuts from poultry processing, including feathermeal, as well as bloodmeal from cattle, pigs and sheep. King Salmon says the "feed replicates the natural diet of wild salmon". But unlike wild salmon, farmed salmon derive only a small proportion of their diet from marine sources. Environmental pressures and rising prices for fishmeal and fish oil have forced the industry to look for alternatives. Cheaper by-products from abattoirs have been the answer. Plant materials such as faba-bean meal are also added for extra protein and to act as binding agents. According to Skretting Australia, which manufactures the pellets fed at most salmon farms here, just under 10 percent of the feed is fishmeal derived primarily from Peruvian anchovies. Fish oil comprises 7 percent. Some fish oil has to be added to the pellets because it’s the main source of omega-3 for farmed salmon (although it’s often promoted as a “natural source” of omega-3). Wild fish derive their omega-3 from the algae and other marine plants found in the fish they eat. Farmed salmon's artificial habitat also means their feed has to be supplemented with astaxanthin, a carotenoid pigment, to give the fish their distinctive pink flesh. In contrast, wild salmon get their pink glow from eating krill and other crustaceans. Salmon farmers can carefully control what the fish are eating but they don’t yet know if the fish's diet is one of the factors contributing to skeletal deformities. Bone deformities in farmed salmon have been a problem in farms both here and overseas. The Ministry for Primary Industries has recently given $600,000 to King Salmon and other members of the Salmon Improvement Group to investigate the deformed fish. It’s thought the deformities may be linked to conditions in salmon hatcheries. Nutrition and water temperature have been flagged as possible contributing factors. The project brief published by the ministry states the problem has “serious implications for the sustainable growth of aquaculture, animal welfare and consumer perception”. It’s also bad for business. Deformed fish can’t be sold as a premium product, although they’re still considered fit for human consumption as fillets or as an ingredient in other foods. The ministry has also provided funding to Aquaculture New Zealand to look at potential vaccines for treating “new and emerging” bacterial infections in the fish. Salmon farms here haven’t been plagued by the diseases that have caused devastation in farms overseas. These diseases, which have been associated with high stocking-densities and stressed fish, can spread rapidly through sea cages, and antibiotics and vaccines have routinely been used to control them. The salmon industry here has hailed itself as antibiotic free. King Salmon says it trialled antibiotics in 2000 as a possible treatment for suspected enteritis. The fish didn’t respond to the antibiotic (oxytetracycline) and the trial wasn’t repeated. 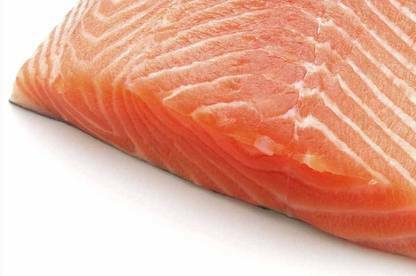 Debate over salmon farming’s environmental impacts has led to the development of various certification schemes seeking to reassure consumers that the fish is a sustainable choice. King Salmon has recently been certified by the Global Aquaculture Alliance, a trade-based group set up in 1997. Despite the certification ticks, farmed salmon can earn a worst-choice ranking in “green” buying guides. Forest and Bird’s Best Fish Guide doesn’t recommend salmon reared in farms in coastal areas. The group’s prepared to give a green light to fish from freshwater farms because it believes higher water flows mean the build-up of fish waste is less of a concern at these sites. Several freshwater farms operate in the hydro-electric canals in the South Island although the farms account for less than 20 percent of production (see 'Market players' below). King Salmon says it disagrees with Forest and Bird's rankings. Most farming occurs at King Salmon’s sites in the Marlborough Sounds. The company says it manages the farms to minimise environmental effects, controlling feed levels and fallowing low-flow sites to give the seafloor time to recover. If left fallow, it says a farm can regenerate in two to 10 years depending on water flows. Annual monitoring has identified 2 main impacts of the farms: raised copper and zinc levels, and nutrient enrichment caused by fish waste. Monitoring in 2011 at King Salmon’s 8 consented sites in the Sounds found levels of copper and zinc in the sediment beneath 4 farms exceeded guideline values. Copper levels have increased due to the use of antifouling agents. The company says it’s stopped using copper-based antifoulants. In the same year, King Salmon’s Forsyth Bay farm was assessed as being at the limits of “maximum acceptable environmental quality standards” and feed inputs were described as “beyond the assimilative capacity of the site”. The farm was fallowed but is now back in use. Monitoring at the company’s Otanerau Bay farm also found the site was at the limits of environmental quality standards. The monitoring report describes the farm as “highly impacted” and “biologically impoverished beyond the point at which wastes can be efficiently assimilated”. The company agreed to limit feed at the farm to reduce environmental impacts. It believes the adverse effects were caused when an algal bloom in the inner Marlborough Sounds in 2010 forced it to temporarily move its Ruakaka Bay farm to Otanerau, increasing loadings at the site. Monitoring results for 2012 are currently being reviewed by the Marlborough District Council. Monitoring data was provided to the council in March 2013 but it’s been unable to reach a conclusion on the farms’ compliance with consent conditions and has sought an independent review. The results of this review have yet to be made public. According to industry figures, retail sales of packaged farmed salmon alone are worth over $33 million and grew 17 percent in the last year. Exports earnings are worth another $51 million. Rising sales have spurred plans for expansion and prompted the government to relax the aquaculture laws in 2011. But the Ministry for Primary Industries has recently lowered its expectations for growth following the drawn out legal battle over King Salmon’s bid to extend its operations in the Marlborough Sounds. After the government changed the law, King Salmon applied to open 9 farms. The company eventually won consent for 4 farms subject to conditions. But that decision has now been appealed to the Supreme Court by green groups the Environmental Defence Society and Sustain Our Sounds. A decision on whether the court will hear the appeal was expected at the time of writing. Whatever the outcome, the salmon farming debate is unlikely to be quelled. New Zealand King Salmon and Sanfords are the 2 main players in salmon farming. King Salmon operates 5 farms in the Marlborough Sounds and produces around 55 percent of all farmed salmon. Its retail brands are Regal Salmon and Southern Ocean. The company is majority-owned by the giant Malaysian-based Tiong Group. Plans to open 4 new farms in the Marlborough Sounds are subject to a Supreme Court appeal. Sanfords operates 2 farms in Big Glory Bay in Stewart Island and produces around 27 percent of all farmed salmon. The company is listed on the stock exchange. It sells under its own brand and also sells salmon to Prime Foods, which owns the Prime Smoke and Studholme brands. Aoraki Smokehouse is the other main retail brand in the market. It’s produced by Benmore Salmon, which operates a freshwater salmon farm in the South Island hydro canals, and is majority-owned by private shareholders. High Country Salmon and Mt Cook Alpine Salmon also operate freshwater salmon farms in the canals. They sell to the public from their premises and online. High Country Salmon is privately held. Mount Cook has both private and institutional shareholders. Akaroa Salmon has a farm off the Canterbury coast. It sells mainly to restaurants and to the public through a local shop and online. It's majority-owned by Philippines-based Alliance Select Foods. We tested the omega-3 levels in 5 smoked salmon products. Salmon is regarded as a good source of omega-3. However, testing we commissioned found some products overstated their omega-3 content. Omega-3 is the name given to a group of fatty acids essential for health. They include alpha-linolenic acid (ALA), which is derived from plants, eicosapentaenoic acid (EPA), and docosahexaenoic acid (DHA). The body can't make these fatty acids so we need to eat foods containing them. Food manufacturers are allowed to show average values for omega 3 (and other nutrients) so small variations may be found. However, 1 product claimed more than triple the omega-3 indicated by the lab test. Aoraki Smokehouse Cold Smoked Salmon (50g) stated it contained 8.07g of omega-3 per 100g. Testing of a sample of this product indicated 2.2g per 100g. The company told us it’s aware of the issue and has updated the packaging. It says all products leaving the factory now have the correct nutritional information. Countdown’s Signature Range Smoked Salmon Slices (50g) also claimed a higher omega-3 level (3.2g per 100g) than indicated by the lab test (1.4g per 100g). Countdown withdrew all Signature Range smoked salmon as soon as we notified it of the results. It expected to have correctly labelled product back in-store in November 2013. Countdown’s Grant Monigatti, merchandise manager responsible for Signature Range, said the company was disappointed by the test result. “This level of variation is not acceptable to us and that is why we have removed [the salmon] from sale.” Monigatti said Countdown has a “stringent auditing process with our suppliers and we’re currently investigating what’s happened on this occasion”. Other products tested included Regal Smoked Salmon Cold Smoked Slices (100g), Southern Ocean Smoked Pieces (100g) and Primesmoke Smoked Salmon Slices (50g). Testing of a sample of Regal salmon indicated 1.8g of omega-3 per 100g; testing of the Southern Ocean salmon indicated 2.4g per 100g. Both products, which are produced by King Salmon, stated an omega-3 content of 3g. The company says the levels stated on its packaging were based on historic test data compiled from 4 independent lab tests. It says it’s retesting and will correct the packaging if warranted by the lab results. It’s also reviewing its procedures “to ensure they are brought up to date”. Testing of the Primesmoke salmon indicated 1.8g of omega-3 per 100g, compared with a stated level of 1.4g, so would meet the label claim. Salmon farms boast their antibiotic- and vaccine-free status. But like other forms of intensive farming, salmon farming relies on the use of some veterinary medicines. A 2010 review by the Ministry for Primary Industries reported salmon hatcheries routinely use veterinary medicines in their breeding programmes and listed a hormone-inducing agent (GnRHa) and testosterone (17-methyl testosterone). At some farms, a veterinary medicine called AQUI-S may be used as an anaesthetic prior to sampling or harvesting the fish. Once anaesthetised, the salmon are killed with a blow to the head. I heard this was the premium brand of farmed salmon in NZ. Isn't this the freshwater Salmon company? Could you please test this farmed salmon against the others? Thanks. Yes, Mt Cook Alpine Salmon operate freshwater salmon farms. We've passed your suggestion on to our research team should we do another test. concerns choice - “eat less of” - section. Currently arguing about NZ King Salmon's push for relocation - horrendous pollution aspects - which they're ignoring by not confirming water column monitoring responsibilities. Both are fed cattle and poultry by-products - so not great if you're pescetarian etc.